New advances in cloud technology have opened the door for many organizations in regards to hosting their apps in the public cloud. It is extremely important to understand that while hosting apps in the cloud may offer many benefits, it also adds an extra layer of complexity, due to security concerns, requirement management, and the cloud platforms themselves. 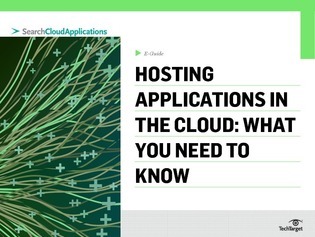 The following E-Guide addresses important information on hosting apps in the cloud as well as security and requirement management.